Client:Ostrander Rock & Construction, Inc.
ELS was contracted by Ostrander Rock and Construction Company to facilitate the dewatering and fish removal and rescue for the Klineline Bridge Replacement Project. The Klineline Bridge over Salmon Creek near Vancouver, Washington was to be removed after being damaged and reconstructed in 2008. 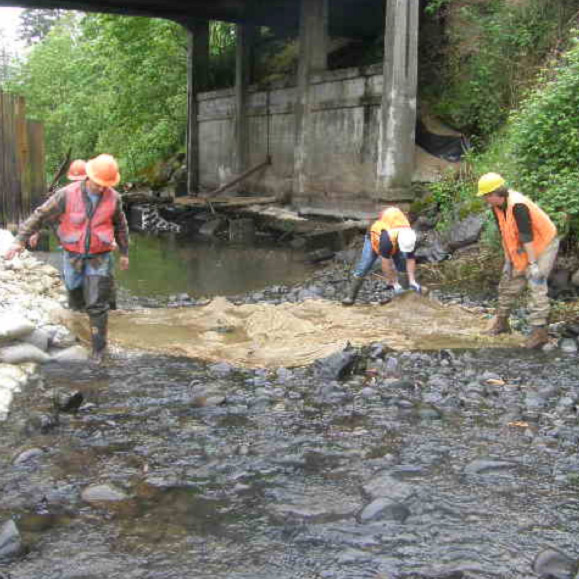 ELS worked closely with Clark County biologists and the lead contractor in strategic planning, designing the dewatering and diversion setup of Salmon Creek in the project area prior to bridge demolition, and coordinated fish removal with zero fish mortality. ELS biologists were onsite during the dewatering process and used electro-shocking and netting techniques to safely remove 879 fish, identified the species to assess impacts to protected species, and released them below the dam downstream. 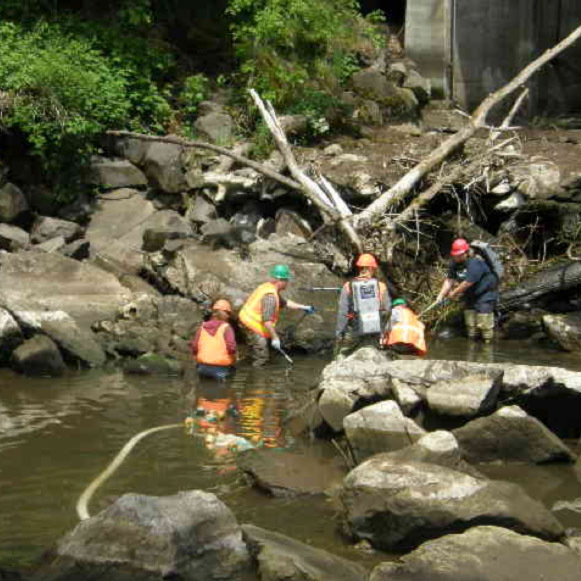 After bridge construction, ELS biologists performed two subsequent fish rescues after minor flood events.